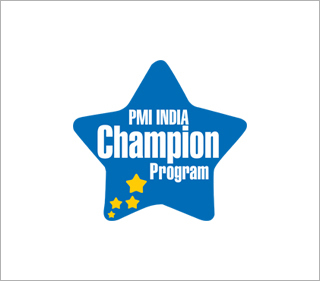 PMI India Senior Champion Kalyan Sathyavada held a three-day workshop in Thiruvananthapuram to help PMI Agile Certified Practitioner (PMI-ACP)® certification aspirants. The workshop was hosted by PMI Trivandrum, Kerala Chapter from 24-26 November and was attended by members of the project management center of excellence team at IBM. There were attendees from India and the USA. The topics covered during the workshop included introduction to PMIACP ®, agile manifesto, agile framework, agile methodologies and their practices, risk management, quality management, soft skills, and the governance of agile projects. On 29 November, PMI India champions Samuel Dorairaj, Bhaskar Nagaraja, Abhijeet Palnitkar, and Gowrishankar Chandrasekaran from Intel organized a Project Management Day at Intel, Bangalore Campus. Attended by 80 practitioners, the event provided them a platform to come together and discuss various aspects of project management, besides listening to experts about best practices. This was followed by a meeting organized by the champions from Intel with others who are part of the Champion Program in Bengaluru. At the meeting that was also attended by champion advisory committee member, Prasann Patil, there were discussions on ways to increase collaboration among the champions and leverage each other’s strengths. The objective of the session was to instil a sense of togetherness in the champion community. Jaydeep Chakraborty, PMI India Senior Champion, and Subhajit Ghosh, PMI India Champion, facilitated a series of sessions in Kolkata to help aspirants of the Project Management Professional (PMP)® certification examination.Organized by PMI West Bengal Chapter, the sessions on 25-26 November and 2-3 December gave participants an overview of project management standards and useful study tips for the PMP exam. Four professionals from IBM, PricewaterhouseCoopers, and Nokia attended the session.